This entry was posted on December 10, 2017 by Chelsea Strong. 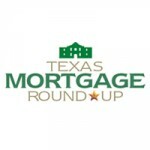 Join your community of mortgage professionals at the Lone Star State's largest mortgage event, The Texas Mortgage Roundup. Don’t miss out on their lineup of engaging events centered around networking, skill-building, and having a great time with your peers. Register today to be part of Texas’ largest and most exciting conference and trade show for the community of mortgage and real estate professionals. Check out the agenda and register for the conference here. We hope to see you in San Antonio! This entry was posted in Events and tagged San Antonio, Texas Mortgage Roundup, real estate on December 10, 2017 by Chelsea Strong.